For most of us, going to college represents an opportunity to live on our own for the first time -- but safe in the knowledge that our families are there waiting for us when we get homesick or during holidays and vacations. If you're a foster child who has not achieved permanency, however, what do you do when school isn't in session? Michelle made those remarks during an interview on "Comcast Newsmakers." Host Jill Horner noted that Michelle herself had experienced "instability in your own life. You said you said you had to go to 12 different schools growing up. What does that mean for you as a child to not necessarily have that family structure or that stability around you?" Children who age out of foster care without any form of permanency are at greater risk for negative outcomes such as homelessness, incarceration, drug abuse, teen pregnancy, Michelle noted. Michelle, who is now a married mother of two young children, overcame a period of homelessness. "I had to look at my life and what direction I was heading in," she said. "I saw myself leading the same lifestyle as my mom. And she ended up passing away, she never got her kids back, and I couldn’t do that to my own children. 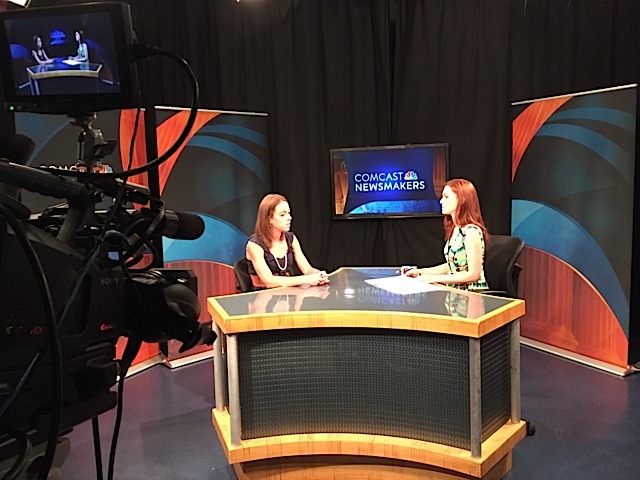 To view the full "Comcast Newsmakers" interview, click here.